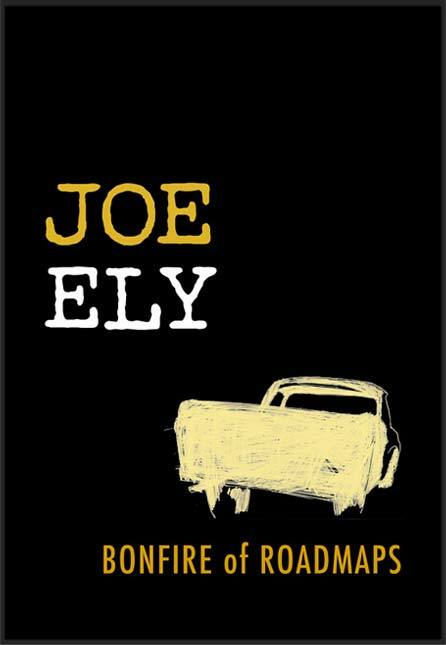 Acclaimed singer-songwriter and Flatlanders band member Joe Ely creates an authentic picture in verse and drawings of a musician’s life on the road. Since he first hitched a ride out of Lubbock, Texas, at the age of sixteen, singer-songwriter and Flatlanders band member Joe Ely has been a road warrior, traveling highways and back roads across America and Europe, playing music for "2 hours of ecstasy" out of "22 hours of misery." To stay sane on the road, Ely keeps a journal, penning verses that sometimes morph into songs, and other times remain "snapshots of what was flying by, just out of reach, so to savor at a later date when the wheels stop rolling, and the gears quit grinding, and the engines shut down." In Bonfire of Roadmaps , Ely takes readers on the road with him. Using verse passages from his road journals and his own drawings, Ely authentically re-creates the experience of a musician's life on tour, from the hard goodbyes at home, to the long hours on the road, to the exhilaration of a great live show, to the exhaustion after weeks of touring. Ely's road trips begin as he rides the rails to Manhattan in 1972 and continue up through recent concert tours with fellow Flatlanders Jimmie Dale Gilmore and Butch Hancock. While acknowledging that "it is not the nature of a gypsy to look in the rearview mirror," Joe Ely nevertheless offers his many fans a revelatory look back over the roads he's traveled and the wisdom he's won from his experiences. And for "those who want to venture beyond the horizon just to see what is there... to those, I hope these accounts will give a glint of inspiration..."
Joe Ely is a legendary live performer whose music combines rock, country, folk, and Tex-Mex. In addition to his solo work, he is a member of the Flatlanders and has also performed with Bruce Springsteen, Los Super Seven, James McMurtry, and the Clash. His albums include the Grammy-Award-winning Los Super Seven, Letter to Laredo, I Heard It On the X, Wheels of Fortune, Streets of Sin, Now Again, Live at Antone's, Honky Tonk Masquerade, Live at Liberty Lunch, and Love and Danger . He lives in Austin, Texas. Whose world has shriveled to a paper sack? Across the ocean in sad Del Rio"